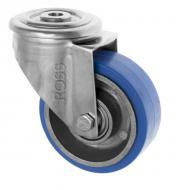 Temperature Resistant Casters can withstand temperatures ranging from -40° to +280° and are available in either a phenolic resin or high temperature rubber wheels. The most popular range is the phenolic resin temperature resistant casters as not only can they withstand extremes of temperature they are also hardwearing. 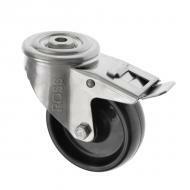 Most suitable in food processing plants, bakeries, freeze drying processing, fridges and freezers, kilns and powder coating processes. 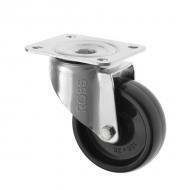 These casters have zinc plated caster frames housing the high temperature wheels. 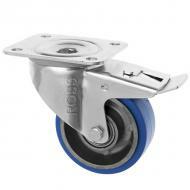 We can offer temperature resistant casters in a stainless steel housing if required, please have a look in our stainless steel range today, you wont be disappointed!